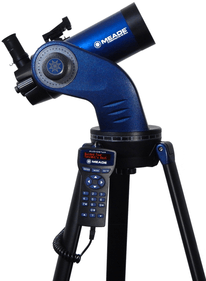 This Meade StarNavigator telescope is suitable for every beginner. The telescope has an azimutal mounting and comes with a tripod. The lens diameter is 114 millimetres and the focal length is 1000 millimetres. 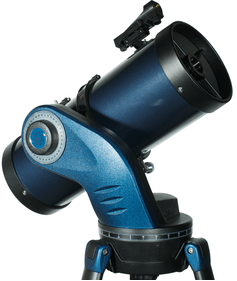 The telescope is equipped with conveniences such as a GoTo system and extra lenses. If you are just getting interested in astronomy, a telescope that is not too complicated is so nice. 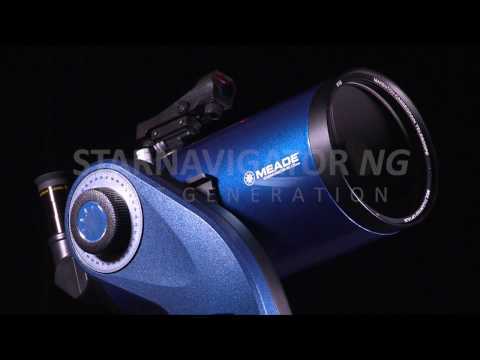 The Meade StarNavigator 114 millimetre reflector-telescope is ideal for beginners. 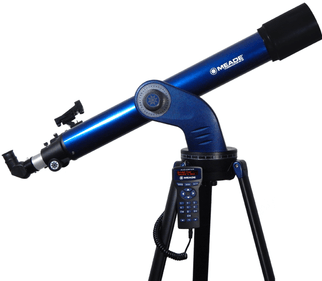 The telescope comes with an adjustable tripod including an accessory tray. In addition, you will receive two eyepieces, one of 9 and one of 26 millimetres. The lens diameter is 114 centimetres and the focal length is 1000 millimetres, which gives the telescope a maximum of 228x. 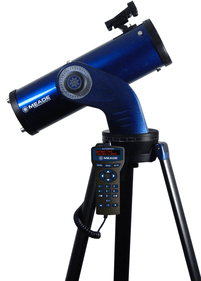 To make it as simple as possible for you, this Meade lightweight telescope can be easily set up and aligned at any location. The GoTo system with 30,000 pre-programmed celestial bodies allows you to get started quickly. This system can search for any desired object and also provides more information about the object in question. The StarNavigator 114 millimetres has an azimuth mount. It is possible to use this telescope for moon and planet photography. The required adapters are not included in the scope of delivery, but you can find them in our shop. Write a review By sharing your experience with the Meade StarNavigator 114 mm reflector telescope, you can help others (perhaps still doubting customers) with making a good choice.